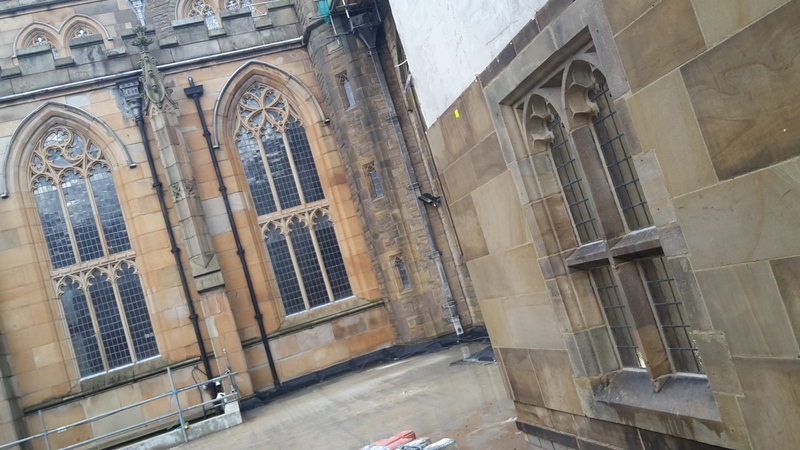 We were extremely pleased to be contacted by Blackburn Cathedral architect James Sanderson (Purcell Architects) back in September 2015 with a request to produce and install a set of traditional leaded glass panels for inclusion within its huge new extension. The court is part of a much larger regeneration of the Cathedral Quater within the town. For more information about the extension project take a look at the following link by clicking here. Our contract included the design. 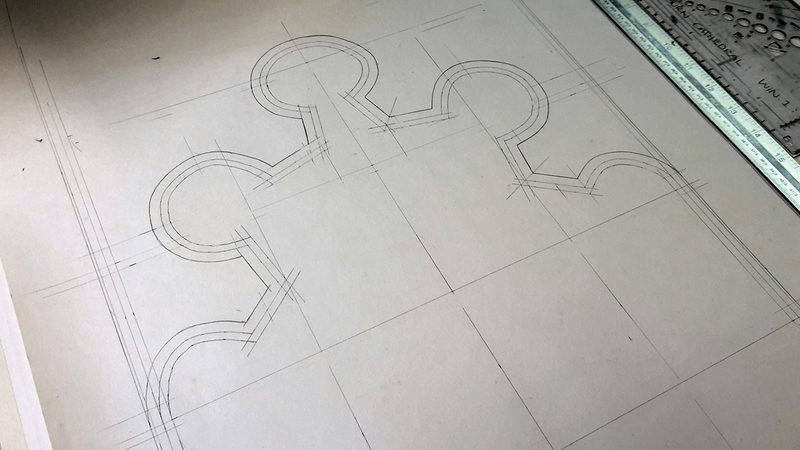 production and installation of 14 panels of relatively simple rectangular leaded glass with the little added challenge of including trefoil heads. 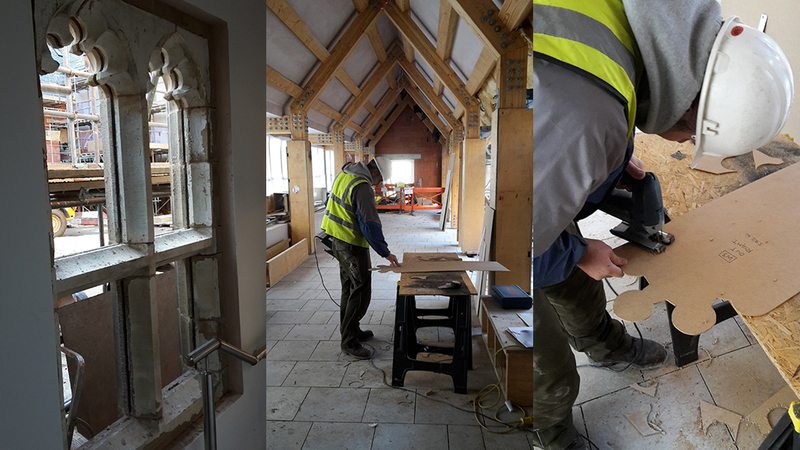 Our images show an example of one of the openings unglazed, the production of one of the set of highly detailed hardboard templates (critical to a successful fit when installing), a detail of one of the hand drawn working cartoons and both internal and extenal shots of the glazing in-situ after installation. 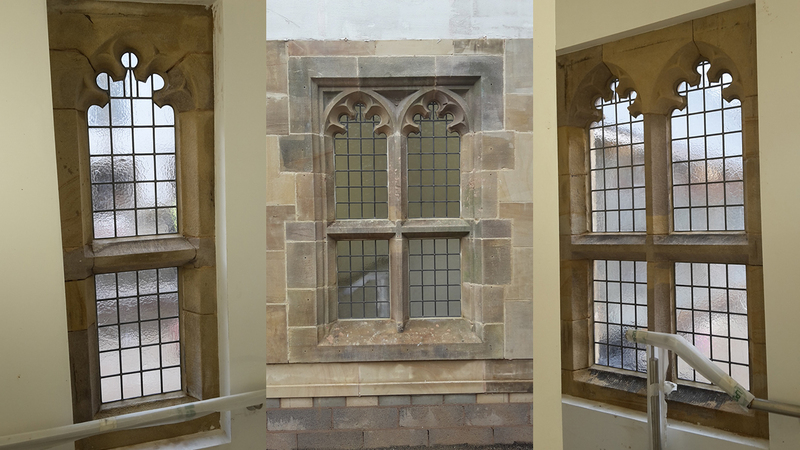 Ten of the panels allow natural light into the refectory stairwell and look out onto the new court and the remaining four are situated within the east transept towards the rear of the building. The option to use mouth-blown “Reamy Danziger” glass was presented to the client (the same glass type used within much of the glazing within the main cathedral building) however the decision was taken to use a more cost effective “antique cathedral” glass.